What do you suppose a goat looks like with his guts taken out and his skin removed? 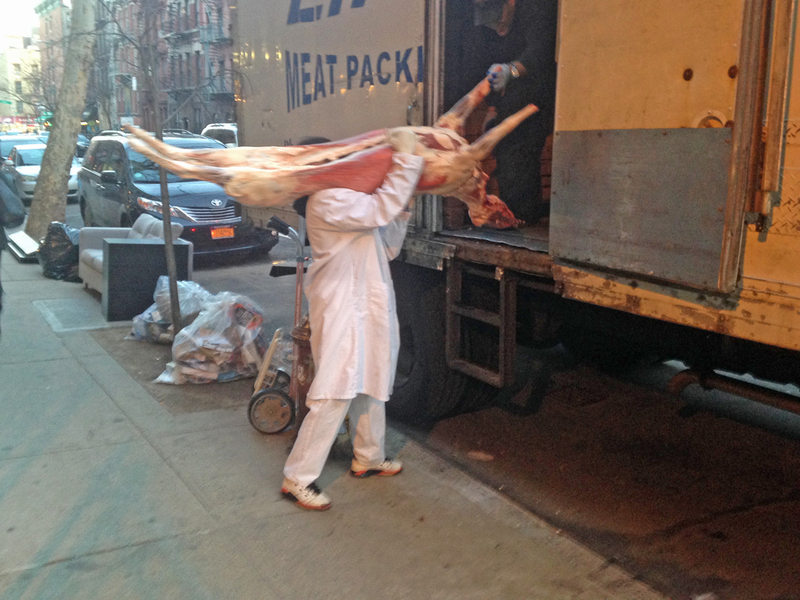 This goat carcass was being delivered to the beloved Honest Chops, on East 9th Street. Goat head soup: it's what's for dinner! that's a goat? that's HUGE! Either a goat or an Afghan Hound!